In 1999, we developed a marketing plan in response to an RFP for Papa John’s Pizza Franchise and were awarded the account. The franchisee was Frank Carney — the founder of Pizza Hut — who was the largest Papa John’s franchisee at the time, with over 200 locations in various states. The plan we developed helped them realize unprecedented growth. A challenge we faced was bringing Papa John’s into the local community quickly and seamlessly. They are now a part of the community and framework of the islands as a result of some tactical steps taken to challenge the big dogs. Papa John’s quickly became the #2 pizza company in Hawaii and remains strong and profitable. In 2001, Hawaii was recognized as franchise of the year and continues to be recognized as an outstanding franchise today. In 2002, Papa John’s Hawaii was named International Franchise of the Year. The foundation we set was strong with a great brand. 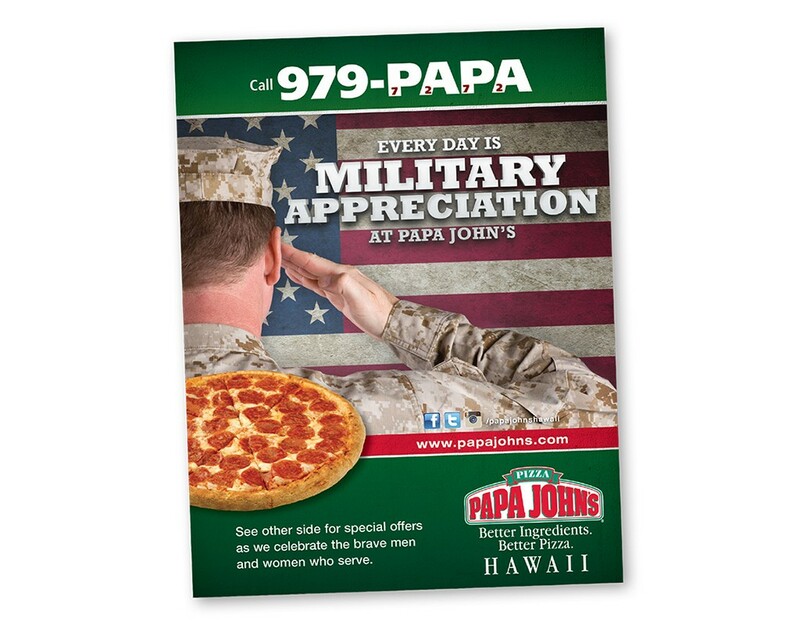 We were extremely innovative as we concepted, researched, tested, analyzed and introduced many marketing, promotional and product offerings that Papa John’s corporate would later introduce to the entire system based on the success that the Hawaii market achieved. In 2014, Papa John’s was named Large Franchise (12 or more stores) of the Year for the world. Papa John’s Hawaii was runner-up in 2013 and 2015, most notably with double-digit sales increases leading the country and world.